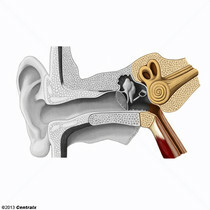 The outer part of the hearing system of the body. 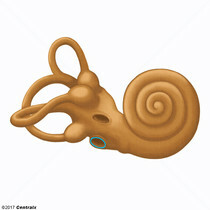 It includes the shell-like EAR AURICLE which collects sound, and the EXTERNAL EAR CANAL, the TYMPANIC MEMBRANE, and the EXTERNAL EAR CARTILAGES. 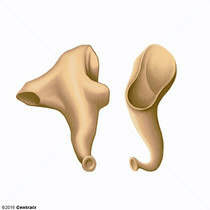 The shell-like structure projects like a little wing (pinna) from the side of the head. 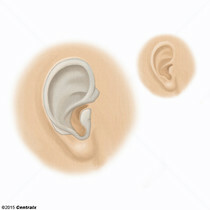 Ear auricles collect sound from the environment. 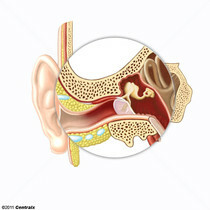 The space and structures directly internal to the TYMPANIC MEMBRANE and external to the inner ear (LABYRINTH). 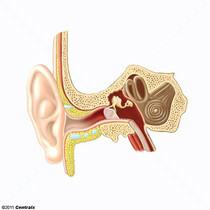 Its major components include the AUDITORY OSSICLES and the EUSTACHIAN TUBE that connects the cavity of middle ear (tympanic cavity) to the upper part of the throat. 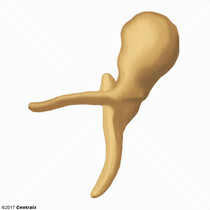 One of the three ossicles of the middle ear. 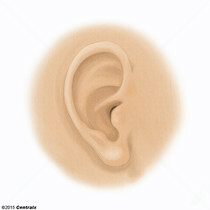 It transmits sound vibrations from the INCUS to the internal ear (Ear, Internal see LABYRINTH). 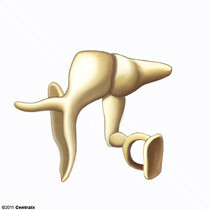 One of three ossicles of the middle ear. 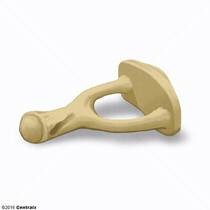 It conducts sound vibrations from the MALLEUS to the STAPES. 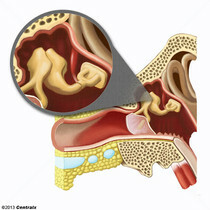 The largest of the auditory ossicles, and the one attached to the membrana tympani (TYMPANIC MEMBRANE). 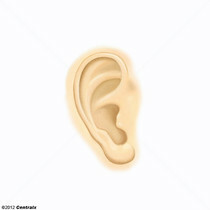 Its club-shaped head articulates with the INCUS. 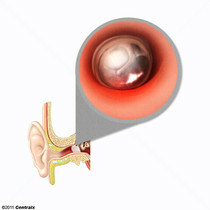 A narrow passageway that connects the upper part of the throat to the TYMPANIC CAVITY. Fenestra of the cochlea, an opening in the basal wall between the MIDDLE EAR and the INNER EAR, leading to the cochlea. 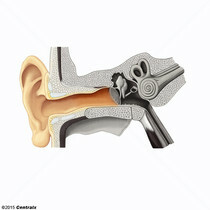 It is closed by a secondary tympanic membrane. 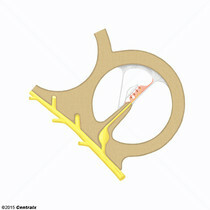 A spiral tube that is firmly suspended in the bony shell-shaped part of the cochlea. 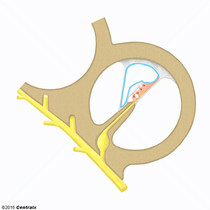 This ENDOLYMPH-filled cochlear duct begins at the vestibule and makes 2.5 turns around a core of spongy bone (the modiolus) thus dividing the PERILYMPH-filled spiral canal into two channels, the SCALA VESTIBULI and the SCALA TYMPANI. 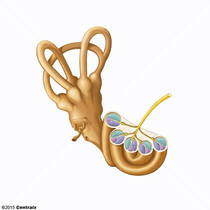 A membrane, attached to the bony SPIRAL LAMINA, overlying and coupling with the hair cells of the ORGAN OF CORTI in the inner ear. 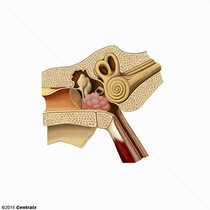 It is a glycoprotein-rich keratin-like layer containing fibrils embedded in a dense amorphous substance.